14. Using Alt+[Up/Down] to rearrange the order of elements in the AOT. As part of my series on “Things new X++ Developers Should know”. I have been writing a few basic howtos for new X++ Developers. These are really meant to be simple instructions to get new developers more productive by exposing the little secrets of the AX development that sometimes take years before discovering. Today is the simple trick of moving elements up and down in list in the AOT using your keyboard. E.G. 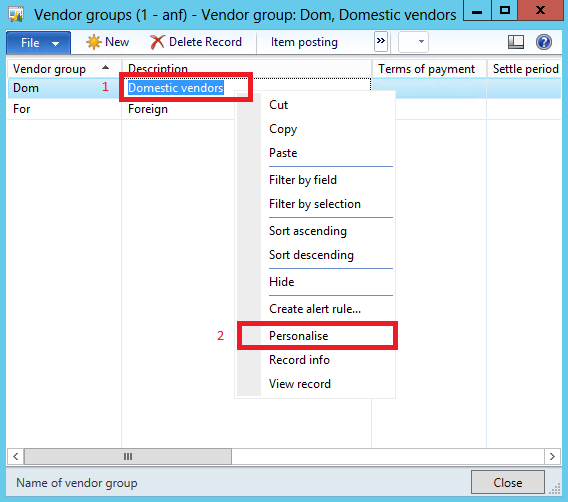 Re-arranging fields in a grid control or field group. Sometimes the mouse re-arranging produces unexpeded results and is quite frankly much slower. Simply highlight (click on) an element of an object that makes sense to re-order e.g. a column in a form grid. This functionality only works where it actually makes sense i.e. where where order actually matter like on grids and field groups. E.G. Moving your control above “methods” (in the screenshot) will have no effect and will automatically move it back down to directly below “methods” on re-opening the aot element. If you’re a little OCD like myself and would like to re-arrange the fields (in the fields node) on a table object they will move when using Alt+[Up/down], but the change will not be permenant, even after saving. Field order doesn’t really make much difference in AX, apart from readability in the AOT. So if you want the primary key to be at the top of the list, then you must create it first (I haven’t found a workaround yet). As above, even though you are physically able to, reordering the tables in the AOT makes no difference. They will always be revert to being alphabetical after re-opening the AOT. 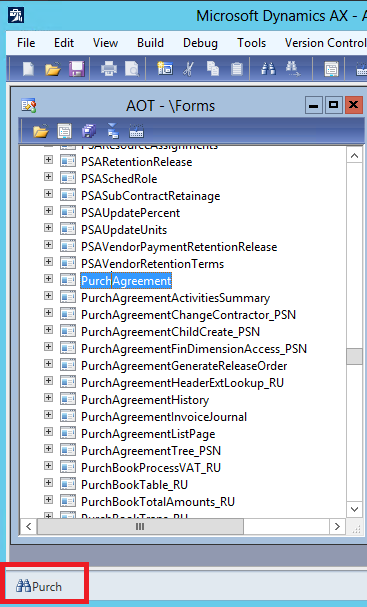 Re-ordering objects in an AX development project does work! The elements will stay in the order that you arrange them. As part of my series on “Things new X++ Developers Should know”. I have been writing a few basic howtos for new X++ Developers. 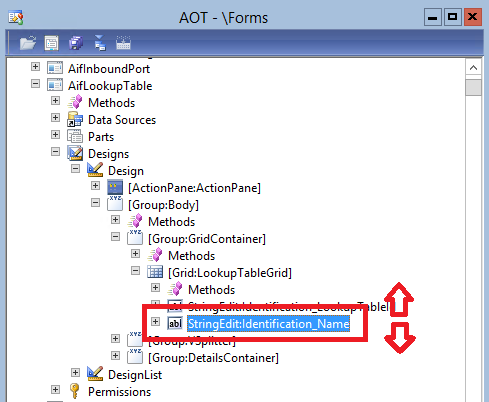 Today’s post relates to quickly navigating to specific objects in the AOT without endless scrolling. So often when working over the should of new developers or consultants exploring the AOT I see them scrolling endlessly or dragging the scrollbar back and forth for a while before finding the object they are looking for. 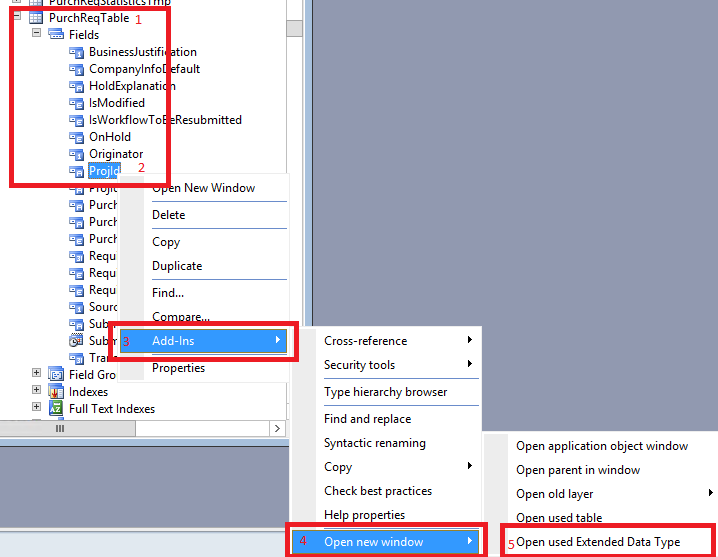 A common technique to navigate through lists in both Windows (e.g. 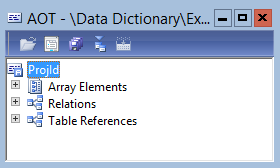 My computer etc) and windows based environments (SQL management studio etc..) is to simply start typing the name of the object you are looking for. Windows automatically moves to the first object matching the sequence typed. As you type AX will move to the first object found matching what you have typed so far..
E.G. P moves to PartitionAdministration, Pu to PurchArgreement etc…. I know this may be a very obvious tip, but I’ve witnessed too many people taking forever to find objects by scrolling to not include this in the “Things new X++ Developers Should know” series. 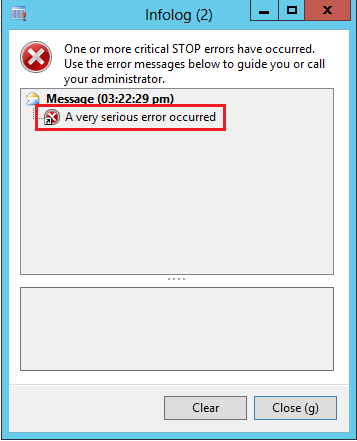 Today’s post relates to quickly navigating to the source code from where an info log error, warning or information message is called from. It took me a while to figure out that for many info log messsages you can simply double click on the message in the info log window and the code that called the message will be displayed for you. To be presented with the code that called it. NOTE 1: If you have your “Execute business operations in CIL” user option enabled, a lot of business logic like postings etc will not allow you to drill down. 3. Drilling down to the parent type of an object in the AOT. 7. Open a parent class from an extending class. 1. Open the object in question e.g. a Table field. 2. Right click on the field. 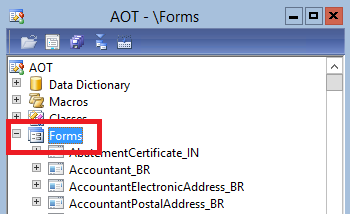 With some of the more complex forms in AX 2012 it can sometimes be quite tricky to navigate through the form hierarchy in the AOT to debug which table and field certain controls on your form are bound to. 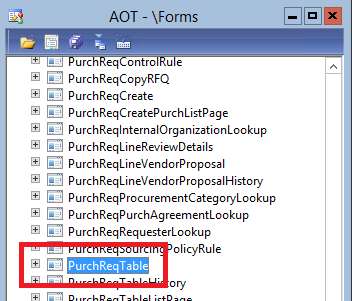 So today I’ll cover how to determine the Table and Field name or the name of a control directly from an AX Client form. 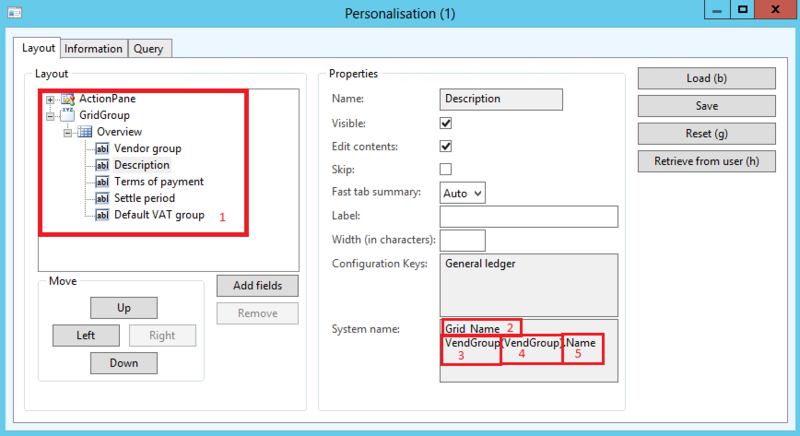 A quick and easy way to do so is to simply use the “personalise” function in AX. 1. From any form in AX. Right click on the form control or field that you would like to diagnose. Since my start in X++ development over 6 years ago there are many small things that I have learnt that I wish I had known from the start. Small things that won’t necessarily help you post a stock journal from code or perform complex integration tasks, but none the less makes your day ever so much more productive. If you are a seasoned developer you will most probably already know most of these, but I thought I’d put them all down in a neat list for new guys to go through. Here are some of my favourites along with links to short articles on how to do them. (I will hopefully add some more over time). 5. Infolog code drill down does not work if code is running in CIL. As an addition to the above you will not be able to drill down to code if it is running in CIL. For DEVELOPMENT/DEBUGGING purposes only you can simply disable code from running in CIL in your User Options. 10. Enabling breakpoints / debugger. One of the most important tools in a developers toolbag is the debugger. There are a few items on the checklist that you should ensure before you can successfully debug code: View them here. 11. Enabling viewing of Layer and Models. In a complex AX environment it is very useful to know what model and layer an object forms part of in order to search for patches or fix yourself. You can easily enable the AOT to display these by navigating to: File -> Tools -> Options -> Development -> Application Object Tree -> Application Object layer -> Select “Show All layers” and Application Object Model -> “show on All elements”. Anyway thats my list for now. Please let me know of any other quick tips and tricks that you think new developers (or old) should know about! Keep a lookout for some more detailed explainations on some of these coming up in the follow days. For those of you who were unable to attend the Technical conference this year, many of the session videos and presentations are now available via partnersource. I’m looking forward to getting stuck in on these.